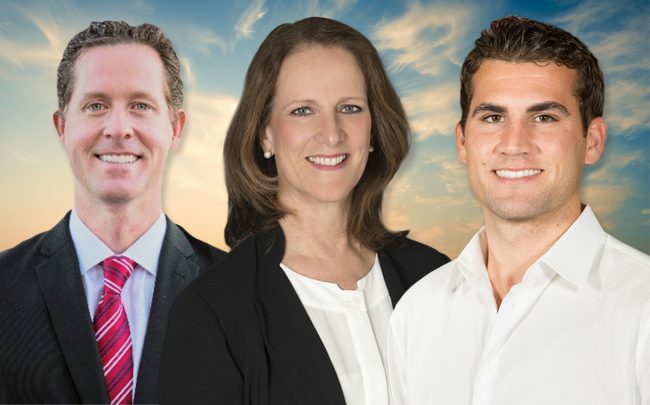 An Orange County Marcus & Millichap Capital Markets team has jumped to Cushman & Wakefield. The five-person multifamily team is led by managing director Mark Bridge. He is a former first vice president and director for Marcus & Millichap’s National Multi Housing Group. Joining Bridge are Michael Whitaker, CJ Arehart, Gary Gong, and Amanda Fitzpatrick. Fitzpatrick joins the firm as brokerage coordinator, while the three others join as associates. The team will work out of Cushman’s Irvine office. Attorney Janet Ray has joined real estate law firm Blackacre and its small team of attorneys. Ray joins the Manhattan Beach-based firm after two years with Shoreline. Prior to that, Ray spent 18 years as senior counsel for bulk retailer Smart & Final, where she handled disposition of the company’s properties and leasing among other tasks. Ray worked in private practice before her years at Smart & Final. She also spent three years with the Los Angeles office of the Securities and Exchange Commission, where she left as branch chief. Rising Realty Partners’ Dan Klein has been promoted to vice president of asset management and development. Klein joined the Downtown L.A. firm in 2014 as an associate with the management and development team and was promoted once before in 2017, to senior associate. Before Rising, Klein worked for Marshall & Stevens. In his new position, Klein will handle leasing, construction management, development analysis, and investors relations.